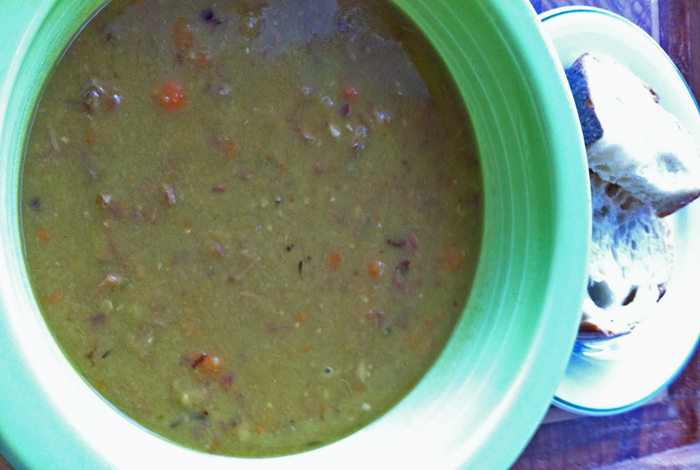 Split Pea Soup With Ham | Let's Cook With Bry! 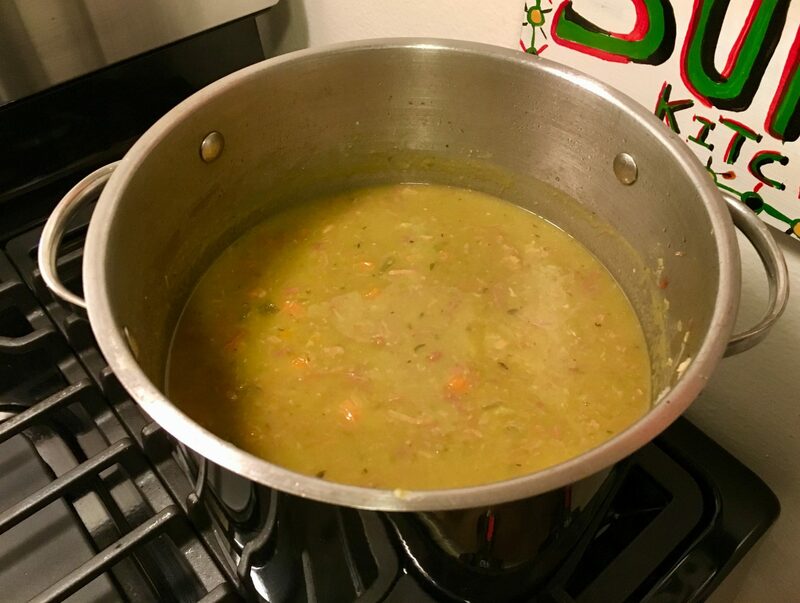 This soup is incredibly tasty, starting with a stock made with ham hocks, or a meaty ham bone purchased from the Honeybaked Ham store or leftover from a spiral sliced ham. I usually increase the quantities and freeze some in containers, to have plenty of delicious rations to carry me through the winter. In a large soup pot, heat the olive oil over medium high heat. 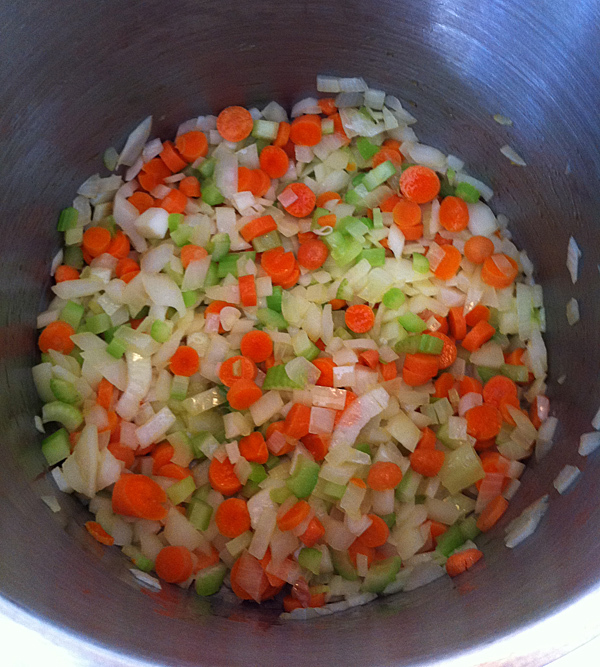 Sauté the onion, carrot, and celery until the vegetables begin to brown, about 6 minutes. Add ham hocks, chopped ham, bay leaves, and water. Bring to a boil, reduce heat, and simmer, partially covered, for 2 to 2.5 hours or until the ham is very tender. Remove ham hocks and bones. Shred meat into bite-size pieces and return to stock. Discard bones. Add split peas and thyme, and optional liquid smoke. Simmer, uncovered, 1 hour 20 minutes or until peas dissolve and soup is thickened. Remove bay leaves. Depending on your preferred texture, you can use an immersion blender to break down the larger chunks of ham and carrot. Makes about 6 servings. Wow! Love this blog! I didn’t realize you’d been sooooo busy! Thanks! I say FOOD is the universal language!